Sometimes seniors are uncomfortable asking family members to help with regular bathing. 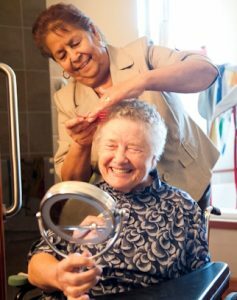 Our caregivers can help by providing compassionate and respectful assistance with bathing, dressing and bathroom clean-up as needed. Based on individual needs, bathing may take place in a shower or bathtub, in bed or while seated. Visits are arranged throughout the day based on caregiver schedules and typically take 1 to 1-1/2 hours. At this time bath visits are being provided within the city limits of Bellingham, Ferndale Burlington, Mount Vernon, Sedro Woolley and Anacortes.